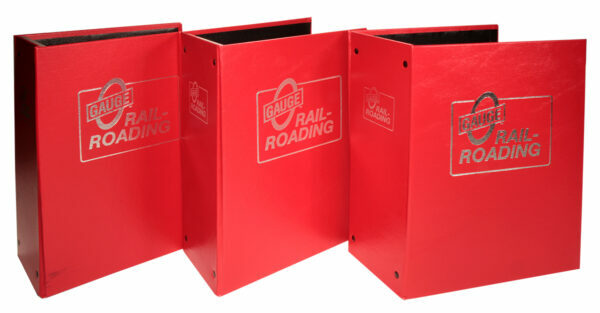 Protect your investment in your O Gauge Railroading magazines with these beautiful OGR magazine binders. Each OGR binder holds at least 14 issues. That’s TWO YEARS worth of magazines! great ideas for your layout! look like small town America! Every small town in America has buildings that look like these! 6" square footprint. 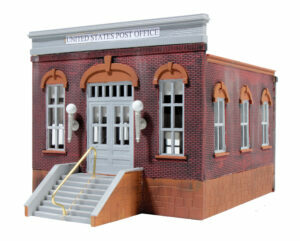 Available in kit form or an Ameri-Build fully built up, painted and assembled building! 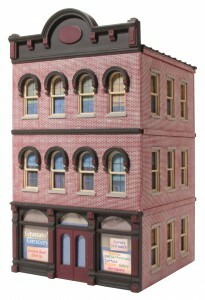 2-story buildings...just right for your space! Every small town in America has buildings that look like these, too! 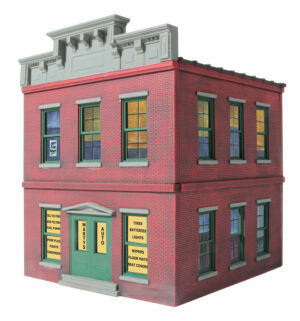 Here's a gorgeous set of 2-story buildings that will fit almost anywhere. Only a 6" square footprint. Available in kit form or fully assembled. 1-story buildings for your small town! 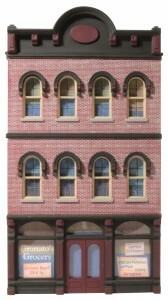 This set of 1-story buildings also have a 6" square footprint. Our building fronts can create the illusion of a big city in just a few inches of space! More work for the local switching crew! 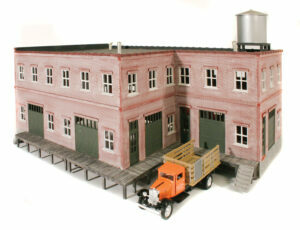 These industrial buildings are designed to be used with a rail siding. Here are the BIG BUILDINGS! A rail siding out back and a truck dock in front! 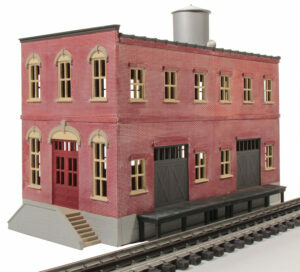 If you've got the room, these big buildings will catch the eye of every visitor to your layout! Here are the detail parts you need to complete that scene. Small parts...at small prices, too! Great Layout Adventures are just that! 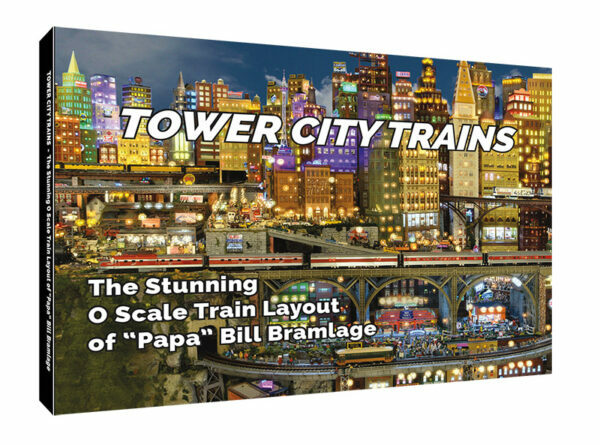 Great O gauge layouts on video and produced by OGR CEO Rich Melvin. Rich's shooting and writing style is sure to please, and you'll get a lot of great ideas for your layout! GLA Volumes 1 through 6 are available on DVD in Standard Definition only. Starting with Volume 7, the videos are available in either Standard Definition on DVD or full 1080 High Definition video on a Blu Ray disc. Here are some railroad videos in the 12" to the foot scale! All the big steam engines that you know and love are in these videos. NKP 765, N&W 611, C&O 614, SP 4449, N&W 1218 and many more are in these videos! Some of these engines may never run again. Your man cave will be knee deep in cinders after you watch these videos! tips and tricks are timeless! Jim shows you all kinds of modeling tips and tricks in this set of Backshop videos. Individual Backshop sequences are also available for download with OGR's Video on Demand! Learn about DCS and TMCC in these instructional videos! OGR CEO Rich Melvin is your host for these great learning videos. Rich has a relaxed and conversational style that makes learning these digital command systems easy! 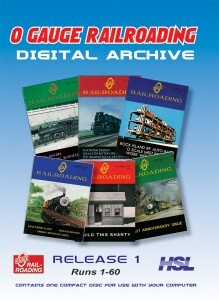 The OGR Digital Archive - 50 Years of O Gauge Railroading on disc! The OGR Digital Archive contains every page of every issue from Run 1, published in June of 1969 through Run 239 published in December 2009. Easy to use, searchable and best of all, you can print articles to have handy for reference when working on the layout! For issues newer than Run 239, you'll need a Digital Subscription so you can visit the OGR Digital Library.